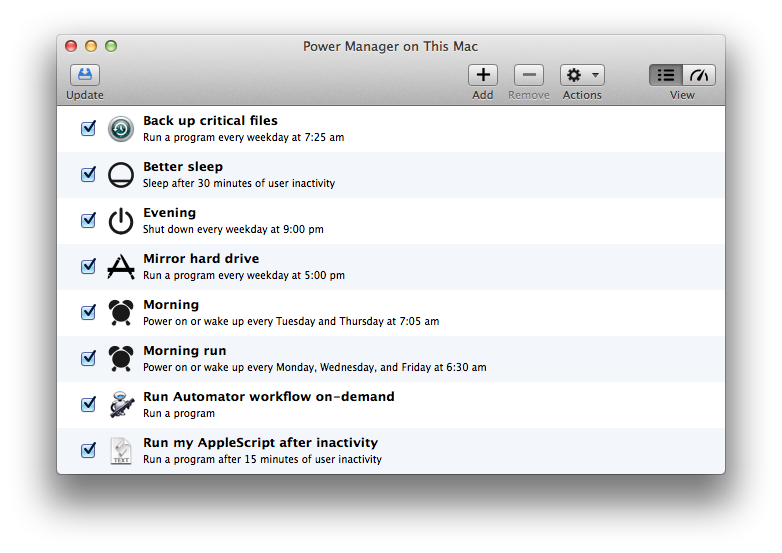 We are pleased to announce the launch of Power Manager 4.3.1. This release restores support for Mac OS X 10.7 and improves OS X 10.10 Yosemite support. After upgrading, be sure to update the scheduling engine. Do this by clicking the Update… button in the toolbar. Refined: Improved installed scheduler version evaluation. Refined: Improved undo handling to reduce save prompts (OS X 10.10).